How can I save a Word document as a PDF on my PC? That is a good question. Please notice that this is helpful information on saving other Microsoft file types as well! You can use the Office programs to save or convert your files to PDFs so that you can share them or print them using commercial printers. And you won’t need any other software or add-ins. Examples include resumes, legal documents, newsletters, files that are intended to be read only (not edited) and printed, and files that are intended for professional printing. To export or save as PDF, in your Office file, on the File menu, click Export or Save As. 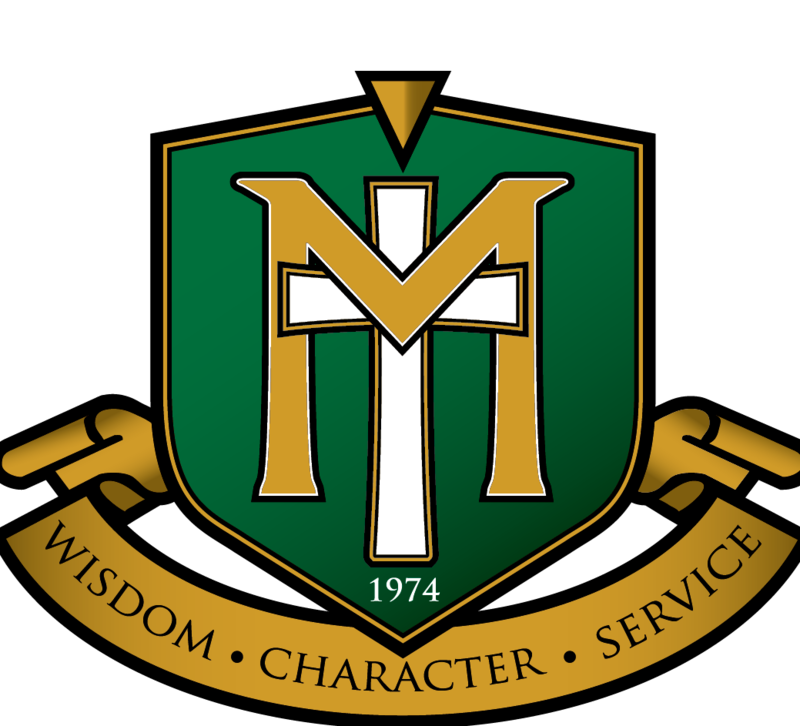 To see step-by-step instructions, select an Office program from the drop-down list. Portable Document Format (PDF) preserves document formatting and enables file sharing. When the PDF format file is viewed online or printed, it retains the format that you intended. The PDF format is also useful for documents that will be reproduced using commercial printing methods. PDF is accepted as a valid format by many agencies and organizations, and viewers are available on a wider variety of platforms than XPS. Choose File > Export > Create PDF/XPS. If the properties of your Word document contains information that you do not want included in the PDF, in the Publish as PDF or XPS window, choose Options. Then select Document and clear Document properties. Set any other options you want and choose OK.
For more information about document properties, see View or change the properties for an Office 2016 file. 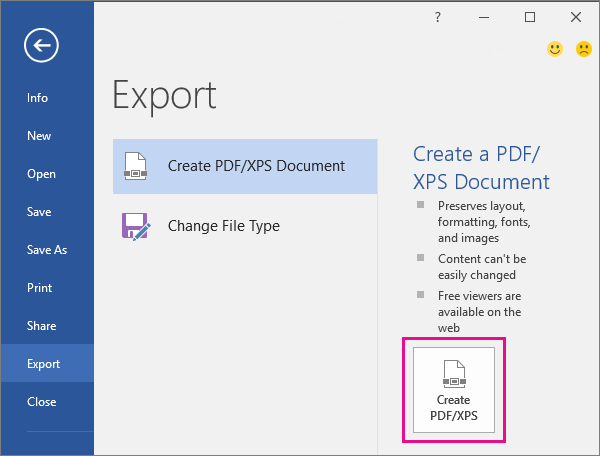 In Publish as PDF or XPS, navigate to where you want to save the file. Also, modify the file name if you want a different name. To make a PDF file from only some of the pages in your document, choose an option under Page range. 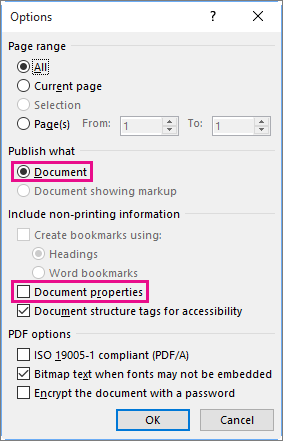 To include tracked changes in the PDF, under Publish what, select Document showing markup. Otherwise, make sure Document is selected. To create a set of bookmarks in the PDF file, select Create bookmarks using. Then, choose Headings or, if you added bookmarks to your document, Word Bookmarks. If you want to include document properties in the PDF, make sure Document properties is selected. To make the document easier for screen-reading software to read, select Document structure tags for accessibility. ISO 19005-1 compliant (PDF/A) This option outputs the PDF document as version 1.7 PDF, which is an archiving standard. PDF/A helps to insure that a document will look the same when it’s opened later on a different computer. Bitmap text when fonts may not be embedded If fonts can't be embedded into the document, the PDF uses bitmap images of the text so that the PDF looks the same as the original document. If this option isn’t selected and the file uses a font that can't be embedded, then the PDF reader might substitute another font. Encrypt the document with a password To restrict access so only people with the password can open the PDF, select this option. When you click OK, Word opens the Encrypt PDF Document box, where you can type and re-enter a password. Head to the same site to find out how to do so with Excel, Publisher and more file types!